Today, social media is perhaps the best all-in-one platform for businesses. It can be used to provide information to customers, advertise, and answer questions and concerns. The greater the audience that a business’s social media reaches, the more benefits they’ll receive. High quality blog posts, articles, and statuses are important, but they also need to have some power of their own, something that makes them shareable. The best way to determine if viewers love the content a business provides is whether or not they share it on their social media platforms. Liking a post is good, but it doesn’t provide the reaching audience that is available when someone shares content. Consider this: The average user has 338 friends on their page. That means that for every single share, the exposure is multiplied by more than 300. If only 15 viewers share the content, that’s potentially 5,000 views – for free. Sharing is a kind of brag for your company – your target audience must engage with it on a personal level to share it. It needs to be engaging, informative, and aesthetically pleasing. That being said, it can be difficult to follow trends and create content that works for multiple people. 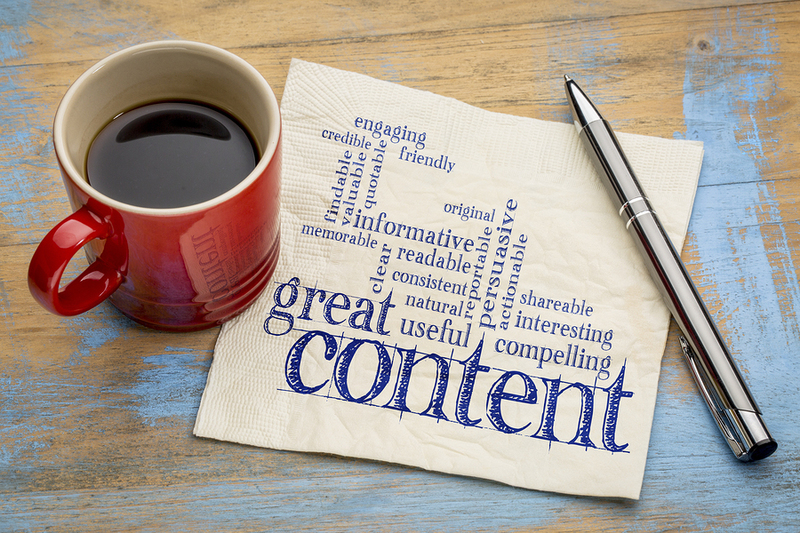 Businesses looking to fully maximize their shareable content should use the following tips. What sort of people are they writing for? Who should be exposed to the content? Each group needs to be presented with relevant information and proper tone. What time of day will the target audience be most likely to see the content? For example, teenagers will be at school on most weekdays before 4pm; avoid posting content for them during that window. Which problems does this group face? Are there particular pop culture icons/themes/interests that the writing can take advantage of? Connecting to things like Game of Thrones or Finding Dory help create a stronger feeling of relevance. People have problems. Providing relevant solutions helps make a business seem more relevant and incredibly useful – if you solve a problem for one, that one likely knows ten more people for which that information might be relevant. When they decide to share the content, people will feel like they’re just helping their friends and family instead of advertising for the company. Taking the time to identify the target audience’s problems (as listed above) will allow the company to create a relevant solution. Don’t treat web content like a box to check off – web content should be thoughtful. Every article needs to have a reason behind it. Viewers won’t react to content unless it is useful, whether it be DIY, entertainment, reference, or something else. Social media outlets are meant to be fun. The entire point of the system is to interact with friends and family. To mesh well with regular social media posts, the content a business creates needs to be engaging. Businesses should always consider the discussions that may result from something they post. Are there going to be follow-up questions that need answers? Are readers going to be compelled (or invited) to share their opinion on the topic? Inspiring questions from a post is a great tool because each comment exposes more of the user’s friends to the information. On Facebook, for example, the news feed is tailored to bring up posts and videos that other friends comment on. The more activity a post has, the more it will generate in turn. The cycle can add up very quickly and potentially result in a viral post. Most users will not read through text-dense articles. They browse for highlights and lists to speed up reading time. If viewers aren’t actually reading a business’s content, they won’t be sharing it, either. There are two things to keep in mind when building articles and other posts: break up the text and add images whenever possible. Bullet lists, headings, and short paragraphs are normal formatting for web documents. They help create white space, which is more pleasing to the viewer and makes it easier for them to navigate. It’s important to highlight the most relevant information, otherwise people may abandon the post entirely. People are more stimulated by pictures and videos than just words. Resource sites such as iStockphoto provide high quality images and videos – without requiring a royalty fee. When articles offer a relevant image, Facebook viewers will be able to quickly see the post’s topic and provide a more interesting link for their friends to click. Images are powerful – but videos are shared much more frequently. Create strategies for social media that include video for effective marketing. Aside from regular photos, infographics are a great way to convey facts. They’re easy to understand at a glance and often provide more information than several paragraphs. Many companies take advantage of online tools to form their own charts and graphs. Sometimes, it’s not possible for the business owner to fully understand target audiences and the kind of content their company needs. Marketing experts from across the nation can decide what path is most likely to succeed. Many of them also take advantage of writing services to publish fresh and useful information frequently. Understanding SEO and the algorithms search engines use to rank pages is a science – delegating these tasks leaves owners and managers with more time to run their business. Viewers aren’t going to spend a lot of time searching for ways to share content or add their opinions. It’s crucial that the original article is easy to spread. Web design must take this into account. Thankfully, most sites can link up with Facebook, Twitter, or YouTube in just a couple of clicks. Another easy method to increase sharing is to use hashtags. These phrases allow readers to make their own posts about the content while making the entire topic easily searchable. This is because each platform groups together all posts with the search term in just a simple click, like Twitter and #marketing. Social media has completely changed the way businesses advertise and communicate with their customers. Unless they’re using a premium advertising plan (which isn’t usually necessary), it’s free for companies to branch out and take advantage of these great features. When every post is meaningful and relevant, the return can be truly incredible.